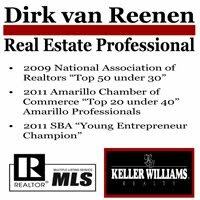 Real Estate Amarillo: Real Results for October Real Estate Auctions! 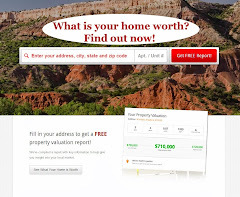 Real Results for October Real Estate Auctions! Prudential Ada Auction Services; the newly launched real estate Auction division of Prudential Ada Realtors in Amarillo offered three great properties at auction on October 17th. The weather was awesome, the buying crowds came out and real time market value was established. Along with the auctions we celebrated the Amarillo Chamber of Commerce ribbon cutting for the official launch of the Auction Services division. It was a perfect setting for the ribbon cutting and the auction! We had a record crowd of close to 100 people attend the second auction of the day. Cars we lined down both sides of the street for several blocks. Simple; we contract multiple homes to sell on the same day at auction, we implement a mass marketing campaign for three weeks to inform the marketplace about the properties, the terms & conditions, and the time, day and location. We gather the market together and we start low and go up until no one else is willing to bid any higher. Its fast, exciting and establishes true market value. Two of the three properties were locked in and sold at the auctions and one property is still in negotiations. Below is Theresa Cruz (one of Prudential Ada's top producing real estate agents) and myself after the third auction, a great co-op effort! If you are interested in learning more about buying or selling real estate through auction please feel free to contact me.